Russians Targeted U.S. 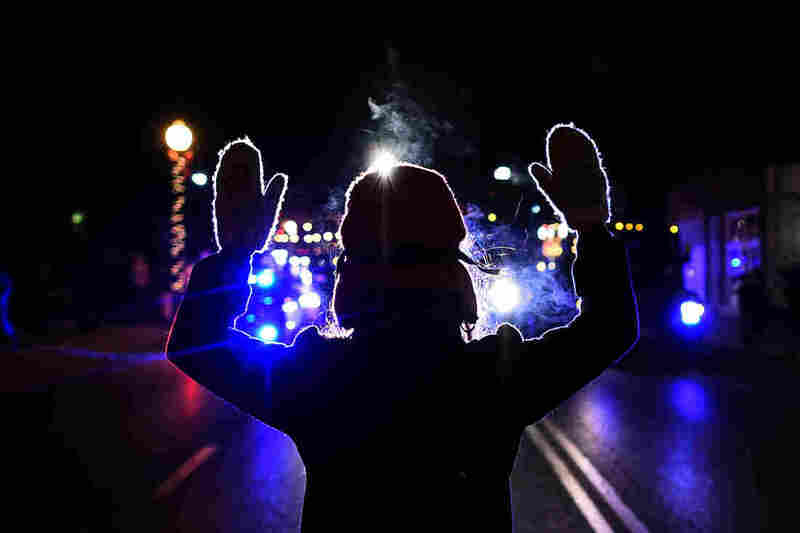 Racial Divisions Long Before 2016 And Black Lives Matter Facebook ads and other types of racial agitation are the latest examples in a long line of information operations aimed at amplifying tensions within the U.S. that dates back to the time of Dr. King. A protester holds her hands up in front of a police car in Ferguson, Mo., on November 25, 2014. Black leaders have condemned the Russian efforts in the 2016 election cycle that apparently sought to divide African-Americans both from whites and from each other, but nothing about those efforts is new. Russian and Soviet influence-mongers have spent decades pressing as hard as they can on the most painful areas of the American body politic, from the days of the Rev. Dr. Martin Luther King Jr. to the current era of the Black Lives Matter movement. Some of the details about the latest chapter in the story have become clear, but much about it remains either unknown or under wraps. Americans may learn more when the House and Senate Intelligence Committees and a Senate Judiciary subcommittee convene a trio of hearings they've scheduled for Oct. 31 and Nov. 1 with three big technology platforms. Facebook, Google and Twitter — which have said they'll send their top lawyers to testify — have discovered they sold ads to agents of influence as part of the Russian attack on the 2016 election. Agents also used the services to interfere in other ways, from amplifying controversy within the U.S. to organizing real-life events such as political rallies. "We can't conclusively say these actions impacted the outcome of the election," Rep. Cedric Richmond, D-La., chairman of the Congressional Black Caucus, said in an Oct. 10 statement. "But we can say that these ads caused harm and additional resentment to young people who unselfishly fight for justice and equality for African Americans and other marginalized communities." The work, known by intelligence officers as active measures, apparently continues. In the racially charged national debate over mostly black NFL players protesting by kneeling during the national anthem, Twitter accounts linked to the Russian 2016 influence campaign have tried to turn up the volume both on pro-player and anti-player accounts. 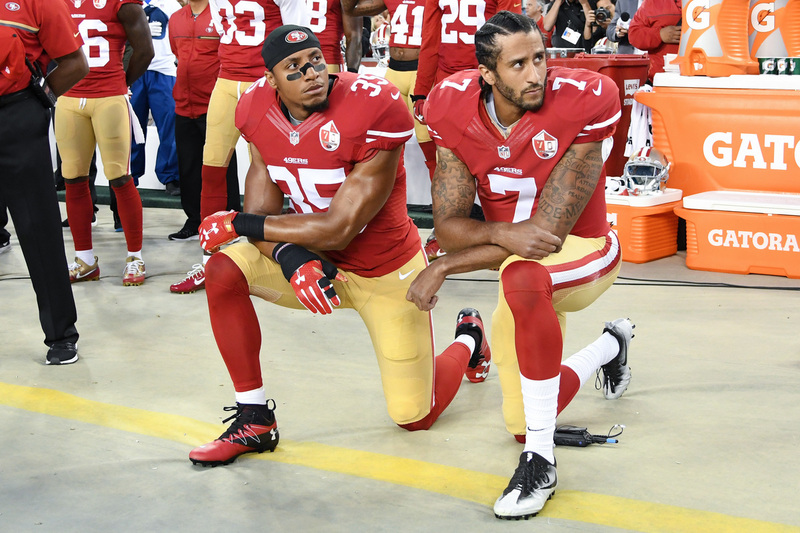 Colin Kaepernick, right, and Eric Reid of the San Francisco 49ers kneel in protest during the national anthem prior to playing the Los Angeles Rams in their NFL game on September 12, 2016. Before that, there were the ads on Facebook. And the account called "Blacktivist" led calls to action for African-Americans to "wake up" and fight "mass incarceration and death of black men." And before that, Facebook users using fake accounts paid personal trainers to lead self-defense classes aimed at black activists, arguing that the activists needed to "protect your rights." And before that — the thread goes back decades. Soviet intelligence officers concocted the story that HIV and AIDS were developed by the CIA as a bio-weapon as a way to keep down nonwhites. In 1984, ahead of the Summer Olympics, Soviet intelligence forged what looked like threatening letters from the Ku Klux Klan to African and Asian nations to try to scare them from sending their teams to the games in Los Angeles. Historian Christopher Andrew and former KGB officer Vasili Mitrokhin described the scheme in their 1999 book The Sword and the Shield. "The Olympics — for the whites only," the letters said. "African monkeys! A grand reception awaits you in Los Angeles! We are preparing for the Olympic games by shooting at black moving targets." When then-Attorney General William French Smith denounced the messages as Soviet forgeries, Andrew and Mitrokhin write, "Moscow predictably feigned righteous indication at Washington's anti-Soviet slanders." There were many other such Russian schemes, according to now-declassified materials in the public record. A "leaked" presidential memorandum in 1980 yielded this headline in a black newspaper in San Francisco: "Carter's Secret Plan To Keep Black Africans and Black Americans at Odds," Robert Wallace, H. Keith Melton and Henry Robert Schlesinger wrote in their CIA history Spycraft. In another scheme, Soviet intelligence officers sought to pit black activists in New York against Zionist Jewish groups. But what makes the targeting of African-Americans especially ugly is that they also have been subject to active measures by their own government. The FBI under then-Director J. Edgar Hoover ran a campaign to hound King in 1964, including with listening devices in his hotel and letters threatening to ruin him. Meanwhile, the KGB was eager to exploit King as an internal political insurgent against Washington, D.C. When he wouldn't be used that way, the KGB also tried to undermine him. Civil rights leader Rev. 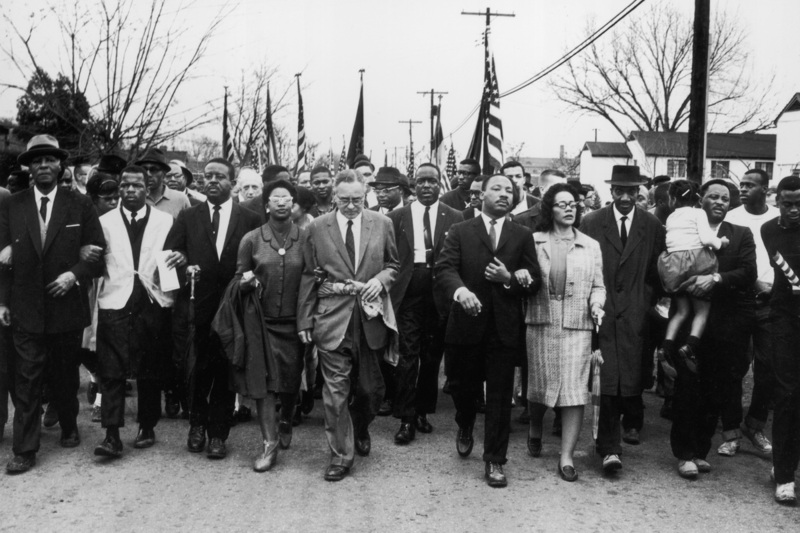 Martin Luther King Jr. and his wife Coretta Scott King lead a black voting rights march from Selma, Ala., to the state capital in Montgomery in 1965. "King was probably the only prominent American to be the target of active measures by both the FBI and the KGB," wrote Andrew and Mitrokhin in The Sword and the Shield. Distrust endures to this day between black leaders and the FBI. Richmond, the chairman of the Congressional Black Caucus, and other members including Rep. John Conyers, D-Mich., and Rep. Bennie Thompson, D-Miss., cited the Bureau's ugly legacy in a recent complaint to the FBI about its investigations into "black identity extremists." "The assessment and the analyses upon which it is based are flawed because it conflates black political activists with dangerous domestic terrorist organizations that pose actual threats to law enforcement," they wrote. "As you are no doubt aware," the black lawmakers also wrote to FBI Director Christopher Wray, "the FBI has a troubling history of utilizing its broad investigatory powers to target black citizens ... . Given this history, and given several concerning actions this Administration has taken on racial issues, Members of the Congressional Black Caucus (CBC) are justifiably concerned about this FBI Assessment." This deep distrust underscores what intelligence officers warned about active measures during the Cold War and continue to see now: Foreign governments don't need to invent controversy in Western democracies. It's already there. What they want is to make the disputes angrier and the debate louder. Members of Congress and intelligence leaders concluded during the Soviet era that they needed to call out forgeries like the one Smith complained about. And now, some lawmakers also want to mandate more disclosure on the part of digital platforms about the ads they sell. That is expected to be a big focus of the Oct. 31 and Nov. 1 hearings. Facebook and Twitter want to get out ahead of any action by Congress. The companies have announced on their own that they plan to reveal who buys certain ads, the content of the ads they're running and other information. Senate Intelligence Committee members, however, have complained that they're not getting all the answers they want from the online platforms, and they've also acknowledged they could uncover more evidence of ads sales or other use by Russian influence-mongers. One leader in the Black Lives Matter movement, DeRay McKesson, told NPR that about the only thing that has been firmly established so far is how little confidence black or white Americans can have that they're able to see the complete picture. "This is just a reminder of how we probably don't even know how deep it goes," McKesson said.